An Ilkeston man has been fined for illegal fishing. Dariusz Rogueszewski, of Nottingham Road, Ilkeston, was convicted in his absence of commiting the offence at Osbourne’s Pond, Heanor. 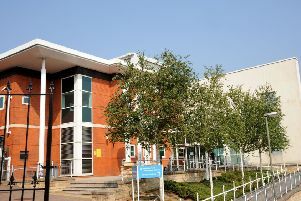 He was ordered to pay a total penalty of £611.47 in fines and costs at Northampton Magistrates Court. The penalty includes a fine of £440 plus costs of £127.47 and a victim surcharge of £44. Following the verdict, James Anderson, East Midlands fisheries enforcement officer for the Environment Agency, said: “This case acts as a reminder to anglers of the importance of having a rod licence and we hope it will provide a deterrent to any angler who is thinking of fishing without a licence or of failing to give details to an officer. Thousands of anglers are prosecuted for not having a fishing licence in the UK every year. As well as cheating other anglers, fishing illegally can carry a hefty penalty. Getting caught without a licence could land a fine of up to £2,500. Licences are available from www.gov.uk/get-a-fishing-licence or by calling the Environment Agency on 0344 800 5386.